Home - Waldo Distributing Ltd. Although fasteners may be small, they are important components of construction. At Waldo Distributing Ltd., we provide the broadest range of regular and specialty pneumatic fasteners in Western Canada. Waldo Distributing also provides air nailing/stapling equipment; air compressors/hoses; all the accompanying tools and accessories. On our shelves, you will find finishing and roofing nails; corrugated and collated fasteners; and unique items such as fasteners made of stainless steel, plastic and aluminum. Waldo Distributing Ltd. was started in 1987 by Walter Rosolowsky. His brother Gerry joined the business shortly thereafter. Prior to starting his own company, Walter worked for several years as an account executive in the fastening industry. With Walter’s expertise and their combined determination, together they built a successful business on a foundation of personal service. When you think about it, the world is stuck together by trillions of staples, nails and screws. Now imagine a world without these fasteners. In actuality, constructing high-rises and travelling by ship or plane would be impossible. 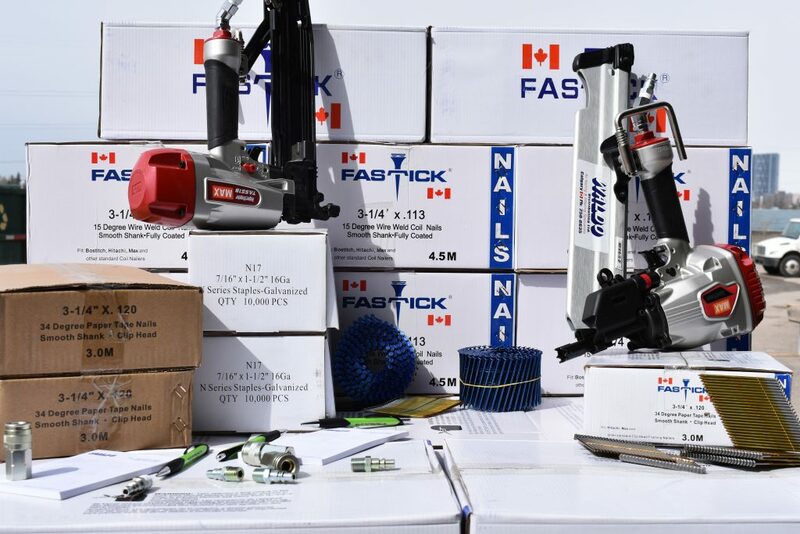 For customers who need tools for a specified period — from one day to more than one year — we rent several varieties of nailers, staplers and air compressors. Whether you live within the city limits or out-of-town, we endeavor to repair and deliver orders within 24 hours. For special emergencies, walk-in clients receive expedient “while-you-wait” repair assistance. Whether you order one box of nails or thousands, we bring them directly to your job-site or home. For customers who live within the city limits, we strive to provide same-day delivery. For out-of-town clientele, purchases are often shipped the same business day. Even most of your local shops cannot beat this incredible time frame. Our service department is known for producing extraordinary fast results. 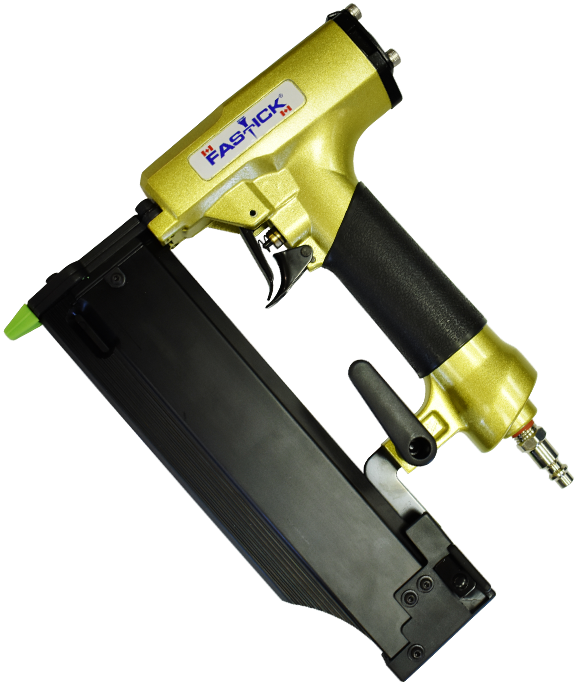 We also offer the unique capability to repair essentially any air nailer, staple gun, air compressor, or related accessories. "Most importantly, we have a willingness to listen and we give friendly and personal attention to each one of our clients." 518 – 42 Avenue S.E. 518 - 42 Avenue S.E.